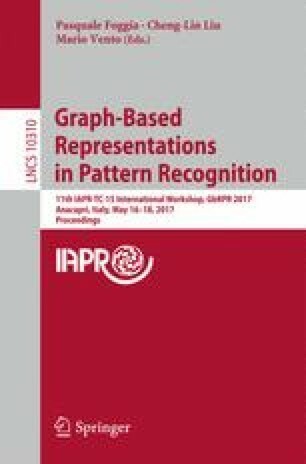 The present paper is concerned with a graph-based system for Keyword Spotting (KWS) in historical documents. This particular system operates on segmented words that are in turn represented as graphs. The basic KWS process employs the cubic-time bipartite matching algorithm (BP). Yet, even though this graph matching procedure is relatively efficient, the computation time is a limiting factor for processing large volumes of historical manuscripts. In order to speed up our framework, we propose a novel fast rejection heuristic. This heuristic compares the node distribution of the query graph and the document graph in a polar coordinate system. This comparison can be accomplished in linear time. If the node distributions are similar enough, the BP matching is actually carried out (otherwise the document graph is rejected). In an experimental evaluation on two benchmark datasets we show that about 50% or more of the matchings can be omitted with this procedure while the KWS accuracy is not negatively affected. This work has been supported by the Hasler Foundation Switzerland.